YOU’VE GOT TO HAVE THE RIGHT TOOLS. For makeup to look really great - whether yours is ‘au natural’, full-force colour, office-appropriate -you’ve got to put it on with an excellent set of brushes (and then blend). Our makeup artists visited the best brush suppliers in the business and collated their picks into the perfect PRO BASICS MAKEUP BRUSH Kit #1. Includes: Super Soft Face Powder Brush, Cheek Contour Angled Blush Brush, Perfect Foundation Brush, Basic Eyeshadow Brush, Crease Shadow Brush, Precision Brow & Liner. Are you sure you want to buy Luxury Pro Basics Makeup Brush Kit #1 for our typical price? 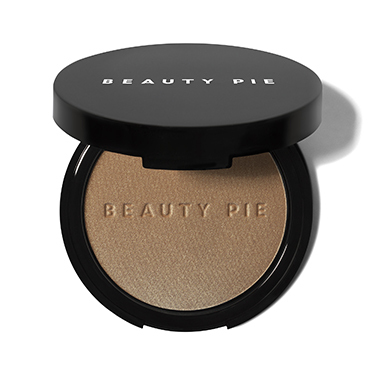 Beauty Pie members pay only $21.42 for this item! Sorry, you need a Membership to buy Luxury Pro Basics Makeup Brush Kit #1 at Factory Cost. Super Soft Face Powder Brush: To set or refresh your make-up. Tap off excess powder before gently sweeping fully across your face. Cheek Contour Angled Blush Brush: To contour, sweep bronzer down cheek hollows, along the jawline and into the hairline, then gently buff to blend. Sweep blusher from cheek apples up towards the ears for a healthy flush. Perfect Foundation Brush: Apply a drop of your favourite Beauty Pie foundation, then gently buff and blend into skin, building to your desired level of coverage. Basic Eyeshadow Brush: Dip into eyeshadow and sweep across lids, or use as a blending brush for a seamless finish. Crease Shadow Brush: Apply eyeshadow straight to the eye crease before blending in a back-and-forth motion for maximum definition. Precision Brow & Liner: Dip into shadow and apply tightly along the lash line to define eyes or make lashes look thicker, or use with powder to shape, shade and fill-in eyebrows with short, hair-like strokes. I have always been wary of buying make up brushes as they are typically expensive and I’m not always impressed with the quality. These ones are great though - they feel really good quality and enable you to get a professional looking face! Very impressed. I didn't think brioches could make such a difference to the way you makeup goes on - I am a couple convert. For the first time ever, I have been putting on my foundation with the foundation brush that comes with this set, I have always used either my fingers or a sponge. I am extremely happy with the results and will not go back to any other application method. I found the eye shadow brush in this set not that great as It doesn't seem to apply my eye shadow as well as my other eye brushes, which is why I gave this 4 and not 5 stars as otherwise I love all these brushes!